Most foreign tourists enter South Korea through Incheon International Airport. While there’s another international airport in South Korea, the Gimpo International Airport, it only serves visitors from Shanghai, China, and Tokyo, Japan. Gimpo Airport is more popular for local or domestic flights like those going to Jeju or Busan. For purposes of this post, I will only tackle the modes of transferring from Incheon Airport to Seoul, more specifically to Myeongdong which will be my base in Seoul for the second leg of my trip. I will come up with another article about transferring to Busan from Incheon Airport which will include the subsequent transfer to Seoul from Busan. In the meantime, as is similar with my other posts about South Korea, I will try to be as comprehensive as possible so please bear with me if this is going to be another long post. There are two terminals at the Incheon Airport, Terminal A and the main terminal. Most of the international flights arrive in Terminal A. If this is the case, then you will need to take a free shuttle train to transfer to the main terminal where the immigration and arrival halls are located. Upon arrival at the main terminal, you will need to go through immigration. To be allowed entry to South Korea, you need to show your passport and valid visa (in case you’re from a country where a pre-approved visa is required like the Philippines). The immigration officer will then take a photo of you and scan your fingerprints before you can proceed. The line is usually long but it moves efficiently. Make sure you look at the screens above the immigration booths to know which line you should be standing in. Once you pass immigration, you can then claim your baggage at the luggage carousels. By then, you would have officially entered South Korea and you can begin transferring to your destination. Read further to know the different transfer options available. Both Incheon and Gimpo airports are connected to Seoul Station through the Airport Railroad. Seoul Station is like the gateway to Seoul. It serves the most number of passengers since it is the terminal or hub for almost all trains. So the first option to reach Seoul is to get through the Airport Railroad and get off at Seoul Station. There are two types of airport trains: the nonstop express line and the multi-stop commuter line. The express line to Seoul Station is available only from Incheon airport. This means that if you are stopping somewhere, you should take the commuter line. The express line is also known as AREX, short name for Airport Railroad Express train. The whole non-stop ride from Incheon airport to Seoul Station takes 43 minutes. The fare for adults is 14,300 won. As far as I know, children below 6 years old ride for free. The seats are more comfortable than those in the commuter train. You’ll also find ample storage for your hand-carried items and there is also room for larger pieces of luggage at the ends of each train car. If you purchase a one-way ticket, you will need to pay an additional 100 won. Take note also that you will need to pay a 500-won deposit but that you can refund it from the Seoul Station through a refund machine. The other type of airport railroad is the multi-stop or the all-stop commuter train and it is an efficient, convenient and cheap way to travel from Incheon or Gimpo airports to Seoul Station. It stops at major subway stations along the way. Where the AREX ride takes 43 minutes to reach Seoul Station, the commuter line will take an additional 10 minutes. Total travel time from Incheon airport to Seoul Station is 53 minutes, while that from Gimpo airport to Seoul Station will take 20 minutes. You can also travel between two airports using the commuter line and the ride will take about 33 minutes. The fare from Incheon airport to Seoul station is only 3,950 won. Same as with the AREX, if you’re purchasing a one-way ticket, there’s an additional 100 won that you need to pay for. Also, there’s a 500 won deposit that you can refund when you reach your destination. 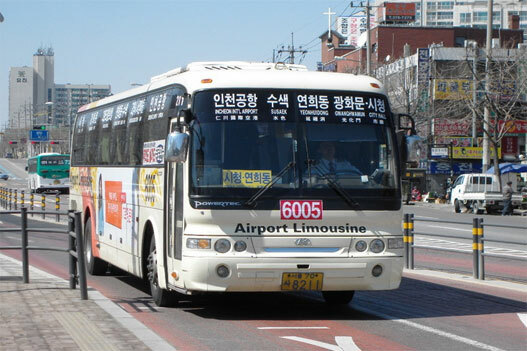 The airport limousine bus is the ideal choice over AREX for passengers who need to carry heavy luggage around. As said above, AREX has Seoul Station as the ultimate destination. Thus, for example, you are heading out to Myeongdong or Hongdae, AREX is not the best option for you. The airport limousine bus is the more convenient way because you can get nearer to your destination without having to carry around your luggage and/or transfer subway stations. There are again two types of airport limousine buses. The first type is called KAL, short for Korean Air Lines. These are deluxe buses which are bigger and more comfortable. They stop at major hotels in Seoul. The second type is the standard bus. They are not as big nor comfortable but they cost cheaper and they make more stops. This will bring you much closer to your final destination. The key here is finding out which bus to take. To help you on that, you can check out the airport limo bus website. You can purchase your bus tickets from the stands at the first floor of the Arrival hall close to Gates 4 and 9. There are also ticket stands outside the terminal near Gates 4, 6, 7, 8, 11, 13 and 9C. If you are a first-time traveler to Korea, it is advisable to get your tickets from the stands. However, note also that you can purchase the tickets from the drivers themselves by using cash or T-money. T-money is a transportation card that is re-loadable and you can purchase it from convenience stores. There are several convenience stores located inside Incheon airport so you can get your T-money from there. If you’re in a group and there’s only one person paying in cash directly to the bus driver, make sure that you inform the bus driver about this. Sometimes, bus drivers can get confused and forgetful. It’s safer that you clear this upon boarding the bus so that the driver won’t think that the rest of your company have not paid yet. Your ticket will tell you the bus number as well as the gate number where the bus stop is located. There is a letter beside the gate number. “A” means to the left (of Gate12 for example) and “B” means to the right. When you get to the bus stop, you need to confirm your bus stop number, the bus number and destination. The bus stop sign will show the destinations as well as the timetable. Make sure that you are boarding the correct bus. The bus will have a huge sign of the bus number so that you won’t miss it. At the airport, the bus driver will usually go down the bus to assist you in your luggage and to get your ticket. Travel time to Seoul will take about 45 minutes to an hour depending on traffic conditions and where you are heading to. It also depends whether you are on a KAL bus or a regular/standard bus. Don’t worry too much even if it is your first time. The bus stops will be announced in both English and Korean and your driver will help you with your luggage at your destination. 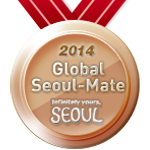 The most convenient or hassle-free way to reach your destination in Seoul is to take an airport taxi. However, if you are a solo traveler or coming in Seoul as a couple, it might not be the most cost-efficient option for you. Based on my experience, taking the airport taxi is more cost efficient if you’re traveling in big groups. For my last two trips to Seoul, the first one being in a group of 12 with 7 senior citizens, and the second one being in a group of 13 friends including a toddler and 2 children, we made use of the jumbo airport taxi and we paid only 80,000won per taxi. When we split the cost among ourselves, it turned out that our share per person was less than the AREX fare which was then about 14,000 won. There are a lot of orange taxis around the airport and downtown Seoul but not all orange taxis are international taxis. A real international taxi is one that has a label “International TAXI” on both burglar alarm lamp and sides of the taxi. Trips between Incheon International Airport and Seoul has a flat fee rate and the fee depends on the zone of your destination. If, for example, you’re going to Myeongdong which is in Jung-gu, the flat fee fare in Zone B applies which is 65,000 for a medium taxi. If you are getting the large or luxury ones, at least 24 hours prior reservation is needed. 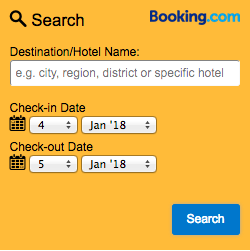 You can book your taxis from the website for online reservation. But if you plan to get an medium (orange) international taxi, there is no need to book in advance. Here’s how to get a medium international taxi directly from the airport. You may also decide to get a regular metered taxi. Just follow the signs towards the taxi bay from the exit of the passengers terminal. You will find a desk there with staff who speak English and they will help you get the correct taxi for your destination. A regular taxi can take up to 4 passengers and the base fare is 2,400 won for the first 2 kilometers. There is a surcharge of 20% when you travel between 12 midnight and 4:00am. Deluxe taxis can also take up to 4 passengers but the base fare is 4,500 won for the first 3 kilometers. There’s no late night surcharge for deluxe taxis. If you need to pass by toll gates, then you will also need to pay for applicable toll fees. Going to Myeongdong from Incheon International Airport by airport railroad is not the best choice for most people because you will need to change train lines at Seoul Station to get to Myeongdong. It is not convenient if you have heavy luggage with you. Transferring alone from the AREX line to Line 4 of Seoul Subway to get to Myeongdong Station will already take you to walk for more than 5 minutes. Then you will need to go through a high flight of stairs. Escalators in subways are kinda rare in Seoul. Take AREX from Incheon airport to Seoul station. At Seoul Station, transfer to Line 4 of Seoul Metro Subway and get off at Myeongdong station. Myeongdong station is just 2 stops away from Seoul station. Effective March 2015, there’s a new passage from the AREX platform that’s opened for transfer to Line 4. The new passage way has shortened the transfer walking time from 15 minutes to 5 minutes. A one-way AREX ticket to Seoul station costs 14,300 won plus 500 won refundable deposit. From Seoul station to Myeongdong station, the ticket price is 1,250 won. In total, this is only less by 1,000 won than the airport limousine bus which is more convenient. To get to Myeongdong by airport limo bus, you need to catch BUS 6015 at either Exit 5B or Exit 11B outside the first floor arrival hall of Incheon airport. This is the transfer of choice if you have heavy luggage with you. It gets you closer to your destination without having to transfer subway stations. A one-way ticket costs 15,000 won and you can buy this from the ticket stand inside the arrival hall near Gates 4 and 9. When you get out of the arrival hall, there are more ticket stands outside near Gates 4, 6, 7, 8, 11, 13, and gate 9C. Just say that you will buy a ticket for BUS 6015 to Myeongdong. Bus 6015 departs from Incheon airport every 20 to 35 minutes with the first bus departing from Incheon as early as 5:35am. The last bus departs at 10:50pm. The total journey time is about 1 hour to 1.5hours depending on traffic. The Myeongdong Station bus stop is in front of Nine Tree Hotel near Exit 8 of Myeongdong subway station. You can take the same Bus 6015 from Myeongdong going back to Incheon Airport. You can catch Bus 6015 at the location above in front of Nine Tree Hotel in Myeongdong. You can take the airport international taxi for a flat fee rate of 65,000 won. Alternatively, you can hail any standard metered cab. From Incheon airport to Seoul station, the fare is approximately 44,000won to 50,000won. Seoul station is about 2 metro subway stops away from Myeongdong so by approximation, the fare is around 50,000won to 60,000won. If taking a taxi, I personally prefer getting the airport international taxi because of the flat fee feature which disregards any bad traffic condition in downtown Seoul. If traveling with family or friends, especially if you have senior citizens or kids in your group, I would really advise booking a jumbo international taxi online. If you look at the lump-sum amount of booking fee, you may get discouraged. 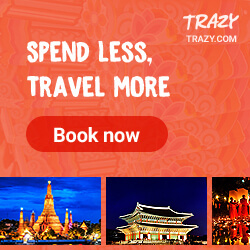 But if you think about how many persons can split up the cost, you may end up having to pay just a few bucks more than getting the AREX or airport limo bus. The extra cost translates to more convenience and less wasted energy because you don’t need to transfer subway stations, or walk from the bus stop to your hotel or guesthouse. The taxi will drop you off exactly at where you are supposed to go. In all of my travels, I always transfer to the city by taxi. I choose to book airport taxis because I want to conserve my energy and use that up for more important things in the city. I will probably take Bus 6015 and/or AREX for the experience but it looks like I will always be partial to the airport taxi. Jan has moved to janiscooking.com. Please leave your question there. Thank you! Hi, for 3 pax with 3 large lugguage, are we able to use the medium size airport international taxi ? Hi Net. I believe yes. You can fit in a medium taxi. Hi. Can i know where to get a T-Money card for train ride at the airport? It can be use at Incheon airport to seoul and transfer to myeongdong station right? Hi Eric. You can purchase the card from vending machines near the subway station, if I’m not mistaken there’s a machine also before you step out to the arrival hall, or in convenience stores inside the airport that has the TMoney/Cashbee logo. Hi did you prebook your large taxi from ICN to downtown? I just checked the website, the flat fare is 95,000 but you paid 80,000. Do you think would it be cheaper if I just hop on any large taxi on the spot? The last time I used a jumbo taxi from the airport was 2014. It was a prebooked taxi by our guesthouse. How do I get back to Incheon Airport from Myeongdong? And where do I buy the ticket? You can go back by taxi, subway, or bus. If by bus, you can take Bus 6015/6001 near Exit 8 of Myeongdong Station. No need for a ticket beforehand. Just pay the bus driver. With T-money or cash? Also can I refund the t-money at a convinience store in Incheon Airport? Hi am traveling this July 2018 and my hotel is vin guesthouse located at 32-4, Sogongro 6gil, Joongu, Myeongdong . Which bus stop must I have to follow? Hi, My flight scheduled time of arrival is 9.45pm at terminal 1. Will I be able to get on the 10.48pm train to myeong-dong? Hi Goh. I am not sure if you will be cleared from inmigration and customs in time or enough to catch the last train to Seoul. You may want to check the BUXI app which is an airport-Seoul ride-sharing app. You need to book your ride by 3pm at least 2 days before your intended arrival date. Hi. I just want to ask, my arrival time would be 10:40pm, is it possible to stay at the arrival hall until the next morning? I’ve read stuff about sleeping at the airport arrival hall when having a late night arrival or you can stay and sleep at “Spa on Air”, but I’m not quite sure if it’s possible? Cos it’s so expensive to take the taxi to myeongdong. Yes. You can stay at the airport jjimjilbang, at the new capsule hotel that charges by the hour, or at the nap lounges for free. Hello, I’m arriving at 10.30 pm and it’s very late, I’m travelling in three oax including baby and 1 big size luggage, what would you recommend if i will stay at metro hotel myeongdong? I want to ride AREX but it is still available after 10.30 PM? Hi Tiffany. The last train leaves around 10:48pm and your arrival time is too close. The last bus must have also departed the airport then. I can only suggest getting a taxi or trying the taxi sharing app called Buxi. There are two Philstay hostels in Myeongdong. If you are staying in Philstay Central, that’s close to Royal Hotel and Euljiro-1 ga Station. But if it’s Philstay Myeongdong Station, your bus stop is at Nine Tree Hotel. That one is closer to Myeongdong Station. Hi what do you suggest we ride to myeondong if we arrive at 10:30PM at the Incheon Airport?